Posted by Dave Emory ⋅ June 15, 2016Post a comment Email This Post Print This Post Tweet This! Introduction: NB: One should not necessarily conclude that all or most of the folks at Celestial Seasonings are eugenicists, although that may be the case. The discussion here is undertaken to illustrate the extent to which fascist and Nazi ideology has infiltrated the so-called New Age. In our opinion, the New Age, for the most part, is a synthesis of Nazi occultism and the intelligence community’s mind control programs. Continuing discussion about the profound fascist influences in the so-called New Age, this program highlights strong links between people involved in launching Celestial Seasonings herbal teas and the Urantia Book. The latter is a voluminous New Age tract that maintains that human beings descended from fair-skinned, blue-eyed space aliens. Asserting that humans evolved from the blue-eyed, fair-skinned, extraterrestrial Adam and Eve, the book manifests an outlook that is not only racist, but could clearly lead to genocidal policies. ” . . . . On every planet through­out every uni­verse, fair-skinned, blue-eyed aliens named Adam and Eve appear to ‘upstep’ the natives. When their prog­eny mate with the accept­able inhab­i­tants of the planet, the ‘infe­rior stocks will be elim­i­nated and there will be one puri­fied race, one lan­guage, and one reli­gion,’ as Gard­ner explains it in Uran­tia: The Great Cult Mystery. Influ­enced by Kellogg’s ideas, Sadler pub­lished three eugeni­cist books: Long Heads and Round Heads; or, What’s the Mat­ter With Ger­many (1918), Racial Deca­dence: An Exam­i­na­tion of the Causes of Racial Degen­er­a­tion in the United States (1922) and The Truth About Hered­ity (1927). The Uran­tia Book echoes the ideas pre­sented in these books, and in some cases, it repro­duces the text word for word. 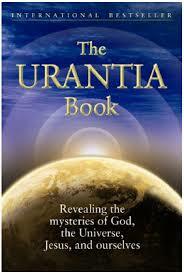 There are indications that the Urantia crowd have taken the eugenicist teachings of the text to heart. Note that Kermit Anderson, director of the genetic screening program at Kaiser Permanente is associated with the group: ” . . . . The [Urantia] Fel­low­ship is putting its money where its mouth is, too. In a 2010 email sent to “read­ers with advanced infor­ma­tion and for­ward look­ing per­spec­tives that are not suited for being posted on the web­site,” a fol­lower named Mar­tin Green­hut writes that the trustees have con­vened a panel on eugen­ics. He names all of the panel mem­bers, the most strik­ing of which is Ker­mit Ander­son, who at that time was the genetic screen­ing pro­gram direc­tor at Kaiser Per­ma­nente in Cal­i­for­nia and the author of much genet­ics research. In FTR #908, we reviewed the evolutionary progression of the overlapping mental hygiene movements and eugenics movements. 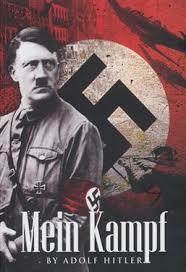 Graduating from theory to practice and involving sterilization, legal prohibition against “intermarriage,” and euthanasia, that evolution led to the Nazi extermination programs derived from the T-4 program. With technology forecast as on track to replace large numbers of working people in years soon to come, the issue of what happens to “excess” population is one to be addressed. The infiltration of outright Nazi ideas into the intellectual realm of the New Age philosophy embraced by otherwise gentle and altogether unsuspecting individuals is to be viewed with alarm. There is abundant evidence that so-called “UFO’s” are real and come from right here on earth, NOT from outer space. People who have been manipulated into believing in the superior wisdom of “space aliens” who advise us to embrace “kinder, gentler genocide” may well be paving the way for a cataclysm. Review of “The Nine”–a New Age manifestation that also posits that life on earth descended from blue-eyed, fair-skinned space aliens and which incorporates a racist, eugenics-oriented philosophy. Review of the Nazi/Operation Paperclip genesis of the U.S. space program. Review of SS officer Werner Von Braun’s role in launching the Institute for Noetic Sciences, a major epicenter of New Age thinking. 1. The broadcast highlights strong links between people involved in launching Celestial Seasonings herbal teas and the Urantia Book. The latter is a voluminous New Age tract that maintains that human beings descended from fair-skinned, blue-eyed space aliens. The genesis of the book appears to lie with people associated with influential American elite players who subscribe to the eugenics philosophy. “Cults, Con­spir­a­cies and the Twisted His­tory of Sleep­y­time Tea” by Megan Giller; Van Winkle’s; 2/1/2016. Its calm­ing com­bi­na­tion of chamomile, spearmint and other herbs might seem benign, almost bor­ing — the ideal for­mula for lulling you to sleep. But there’s a pecu­liar story lurk­ing in your cup of Sleep­y­time tea, one that con­cerns invol­un­tary trances, com­mu­ni­ca­tion with aliens and a eugen­ics plot to elim­i­nate the “infe­rior races” of our great nation. Before Sleep­y­time became the crown jewel of Celes­tial Sea­son­ings, with 1.6 bil­lion cups sold per year, before the com­pany became the largest tea man­u­fac­turer in North Amer­ica, the tea was noth­ing more than a dream in the heads of a few flow­er­chil­dren hik­ing up the Rocky Moun­tains in search of herbs. One of the friends, Mo Siegel, was serv­ing an Asian herbal tea to cus­tomers in a local shop to much suc­cess in 1969. The con­cept that “tea” could be herbal was inno­v­a­tive in itself, since up until then, all tea in Amer­ica and Great Britain was made of the plant Camel­lia sinen­sis. The group wanted to get into the business. On those first hikes, the team har­vested enough herbs for 500 pounds of a blend they called Mo’s 36 Herb Tea, and the sleep-conjuring tea made of chamomille, spearmint and other herbs soon fol­lowed. In no time the friends were saun­ter­ing into the local bank to get a loan for their new busi­ness, “wear­ing jeans, smelling of herbs, and armed with Tup­per­ware con­tain­ers of Mo’s 36 and Sleep­y­time blends.” They called their com­pany Celes­tial Sea­son­ings, after co-founder Lucinda Ziesing’s flowername. But there might be another rea­son they named it “celes­tial.” Mo Siegel and John Hay, two of the founders, were avid believ­ers in a new-age bible called The Uran­tia Book, which fol­low­ers call “an epochal rev­e­la­tion authored solely by celes­tial beings.” The book touches upon every­thing from mind con­trol to a eugen­ics plot to elim­i­nate the “infe­rior races” of our great nation. There are so many wild ideas in The Uran­tia Book that it’s hard to know where to start. “Lucifer, Satan, Melchizedek, Adam and Eve, and Jesus are all extra-terrestrial beings who have vis­ited earth,” Mo Siegel, who is still inti­mately involved with The Uran­tia Book and the Uran­tia Book Fel­low­ship, tells us in “The Twenty Most-Asked Ques­tions”. In fact, Adam and Eve were brought to earth to “upstep the human race” (more on that later). The first three parts of The Uran­tia Book describe a com­pli­cated uni­verse with invis­i­ble seraphim and spirit and semi-spirit beings of all sorts; the last part tells the story of Jesus’ entire life in detail, all 36 years. Though it has just a few thou­sand fol­low­ers, the book has been trans­lated into 20 lan­guages, includ­ing Ara­bic, Chi­nese, Croa­t­ian and Por­tuguese. There’s even a famous oper­atic cycle based on it, as well as at least four fan­tasy novels. The book also pur­ports that there have been many, many sons of God like Jesus on many dif­fer­ent plan­ets, because there are a bil­lion worlds. When evo­lu­tion is com­plete, each of these worlds will have 100,000 local uni­verses with 10 mil­lion inhab­ited plan­ets. Our earth is called Uran­tia, and it’s num­ber 606 in a plan­e­tary group named Sata­nia, the head­quar­ters of which is called Jerusem. When we die, we’re rein­car­nated from planet-to-planet, then finally to Par­adise, where the Deity lives. There is a lit­tle piece of the Deity in each of us, called a Thought Adjuster. The Fel­low­ship will tell you that it’s not a cult, but in The Uran­tia Book, the rev­e­la­tor named the Bril­liant Evening Star of Nebadon calls for Uran­tians to replace Chris­tian­ity with a “new cult” that will be the “true reli­gion” of the future. Accord­ing to William Sadler, the leader of the move­ment, a “Divine Coun­selor” pre­sented the ideas in a lan­guage called Uversa, which had to be trans­lated into Salv­ing­ton and then into Sata­nia before it could be trans­lated into Eng­lish and com­mu­ni­cated to a human being. The Uran­tia Book, a 4.3-pound, 2,097-page tome, pub­lished first in 1955, is a mod­i­fied Seventh-Day Adven­tist text sup­pos­edly com­mu­ni­cated to an anony­mous man in a trance by aliens. The most accepted story, found in How to Know What to Believe by Harold Sher­man, quoted and sum­ma­rized in Mar­tin Gardner’s Uran­tia: The Great Cult Mys­tery, is that around 1911, a man in Sadler’s apart­ment build­ing began hav­ing fits and spells at night. Even­tu­ally he started speak­ing in other voices and revealed that he was “a stu­dent vis­i­tor on an obser­va­tion trip here from a far dis­tant planet.” William Sadler and his wife, Dr. Lena Sadler, had con­ver­sa­tions with these voices for almost 10 years while their adopted daugh­ter, Christy, took notes. In the 1920s a group of friends (even­tu­ally called the Forum) put together a list of 4,000 ques­tions for these beings, and lo and behold, a few weeks later the sleep­ing man furi­ously wrote a man­u­script that answered all of them. “Psy­cho­analy­sis, hyp­no­tism, inten­sive com­par­i­son, fail to show that the writ­ten or spo­ken mes­sages of this indi­vid­ual have ori­gin in his own mind,” Sadler wrote in his 1929 book The Mind at Mis­chief: Tricks and Decep­tions of the Sub­con­scious and How to Cope With Them. The orig­i­nal human transmitter’s name is never revealed, but in Uran­tia: The Great Cult Mys­tery, from which much of the above is found, author Mar­tin Gard­ner (who for many years wrote for Sci­en­tific Amer­i­can and other legit­i­mate pub­li­ca­tions) makes the case that it was Sadler’s brother-in-law, Wil­fred Custer Kel­logg. Sadler had been duped by other chan­nel­ers in the past, most notably Ellen White, the founder of Seventh-Day Adven­tism, but he believed his brother-in-law was the real thing. Siegel, who is now the cur­rent pres­i­dent of the Uran­tia Foun­da­tion and hosts a weekly study group at his house, dis­cov­ered The Uran­tia Book in 1969, the same year he started hik­ing up the Rock­ies for herbs. In fact, the text was a major rea­son he decided to found Celes­tial Seasonings. “Mo and John used it as a guid­ing prin­ci­pal and con­tin­u­ally quoted from The Uran­tia Book,” Car­o­line Mac­Dougall, the company’s fifth employee and the cur­rent founder and CEO of Tee­cino told Van Winkle’s. At staff meet­ings they would even use quotes to bol­ster their argu­ments. “It was a guide for mak­ing sure of the moral val­ues that under­lay the com­pany at that time,” she added. In The Twenty Most-Asked Ques­tions about The Uran­tia Book, Siegel is care­ful to say that “all per­sons are equal in the sight of God” and that “race should become irrel­e­vant.” But the text itself is weighed down with some of the most racist ideas I’ve read in a long time. On every planet through­out every uni­verse, fair-skinned, blue-eyed aliens named Adam and Eve appear to “upstep” the natives. When their prog­eny mate with the accept­able inhab­i­tants of the planet, the “infe­rior stocks will be elim­i­nated and there will be one puri­fied race, one lan­guage, and one reli­gion,” as Gard­ner explains it in Uran­tia: The Great Cult Mystery. In fact, per the text, evil, in the form of ill­ness and dis­ease, exists because “unfit” peo­ples like “Aus­tralian natives and the Bush­men and Pyg­mies of Africa…these mis­er­able rem­nants of the nonso­cial peo­ples of ancient times” haven’t been elim­i­nated. Eugen­ics is the way to cor­rect this error. Lena Sadler’s speech was writ­ten nearly 100 years ago. Maybe things have changed for such modern-day fol­low­ers of The Uran­tia Book as Mo Siegel? Lit­tle infor­ma­tion on the panel’s cur­rent activ­i­ties could be found, and repeated attempts to reach Mo Siegel and the Uran­tia Foun­da­tion were met with resound­ing silence. The Fel­low­ship is putting its money where its mouth is, too. In a 2010 email sent to “read­ers with advanced infor­ma­tion and for­ward look­ing per­spec­tives that are not suited for being posted on the web­site,” a fol­lower named Mar­tin Green­hut writes that the trustees have con­vened a panel on eugen­ics. He names all of the panel mem­bers, the most strik­ing of which is Ker­mit Ander­son, who at that time was the genetic screen­ing pro­gram direc­tor at Kaiser Per­ma­nente in Cal­i­for­nia and the author of much genet­ics research. Lit­tle infor­ma­tion on the panel’s cur­rent activ­i­ties could be found, and repeated attempts to reach both Mo Siegel and the Uran­tia Foun­da­tion were met with resound­ing silence. Siegel got his wish: Since 2000, the com­pany has been part of Hain Celes­tial Group, a mas­sive multibillion-dollar cor­po­ra­tion that also includes Arrow­head Mills, MaraNatha, Spec­trum Nation­als and Jason. Celes­tial pretty much invented an entire cat­e­gory that we now take for granted: nat­ural health foods. And they do it well. How­Good, which rates pack­aged food prod­ucts, told me that Celestial’s prod­ucts receive a “great” rat­ing, which means that in terms of social and envi­ron­men­tal impact, accord­ing to How­Good, they’re 85 per­cent bet­ter than all of the food pro­duced in the United States. That may be. And the same could be said for The Uran­tia Book and its racist celes­tial and not-so-celestial creators.